Hi Im Sans! 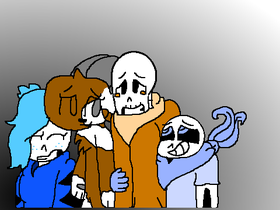 Sans the Skeleton or the GREAT SANS!! * _UnderswapSans_ is Blocked for Further Notice.. So Ask me Stuff and yeh..
You can do it Papyrus! Ask Blueberry and Pizzaboy03 and Friends!! FNAF IS COMING FOR THE WII U OMG!!!!!!!!!!!!!!!!!!! !